Coloured Tower butons are toned down, made to be smaler and less bright. Black bands are used for distinction the HUD at the top. New typeface implemented to give a thicker futuristic feel. The collider capsule makes geometry solid meaning they will bump into other solid objects. 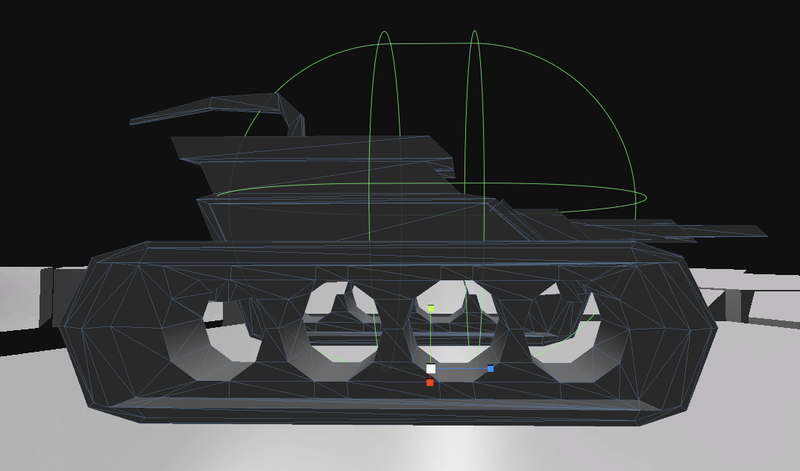 The collider capsule should not mesh over the exact geometry of the Tank as this will mean the processor will have to work extra hard plotting the coordinates on each spawning enemy, this will result in low frame rates. To optimise the game for high performance a capsule collider will be used so the Tank model is recognised as a solid object. To make the game run even smother and to prevent enemies not being able to go through towers the capsule here has been made smaller than the Tank’s geometry. This means the geometry outside the green collider will not be solid. These areas will go through other geometry such as towers or other Tanks, it will hardly be noticeable and means the enemies will not get stuck in between towers or other enemies. This will prevent the Tank’s barrels and antenna from getting stuck. 3rd Person games make their colliders smaller for this very reason, why do you think your avatar’s arms or shoulders can go through walls? Restrict the path and ‘Maze’ the enemy into tighter paths making man made Kill Zones. > The Player should probably be limited to how many blockades they can use at once. >The blockade is also limited to how long it will stay on the battlefield for. Something like 20 seconds. This needs to be tweaked in the balancing phase. *Low Pitch Voice* MAXIMUM ARMOUR! 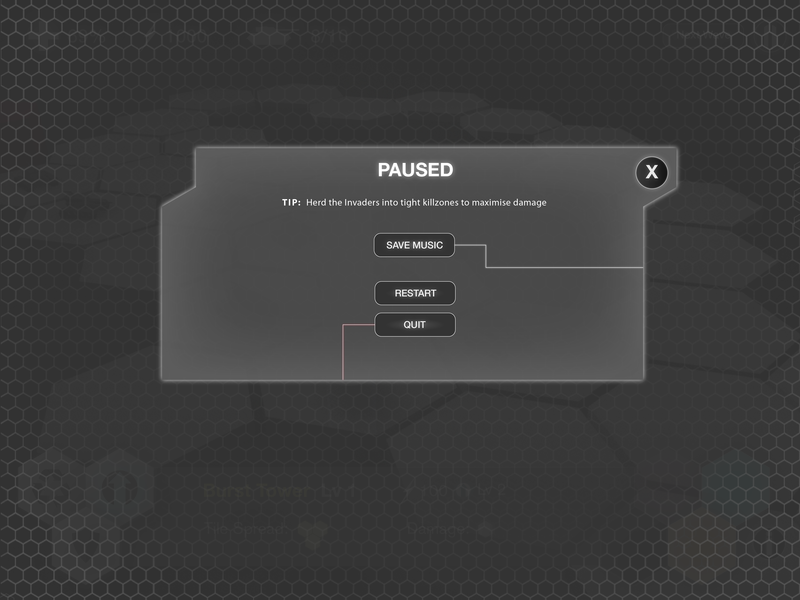 Bare bones ingame pause menu. 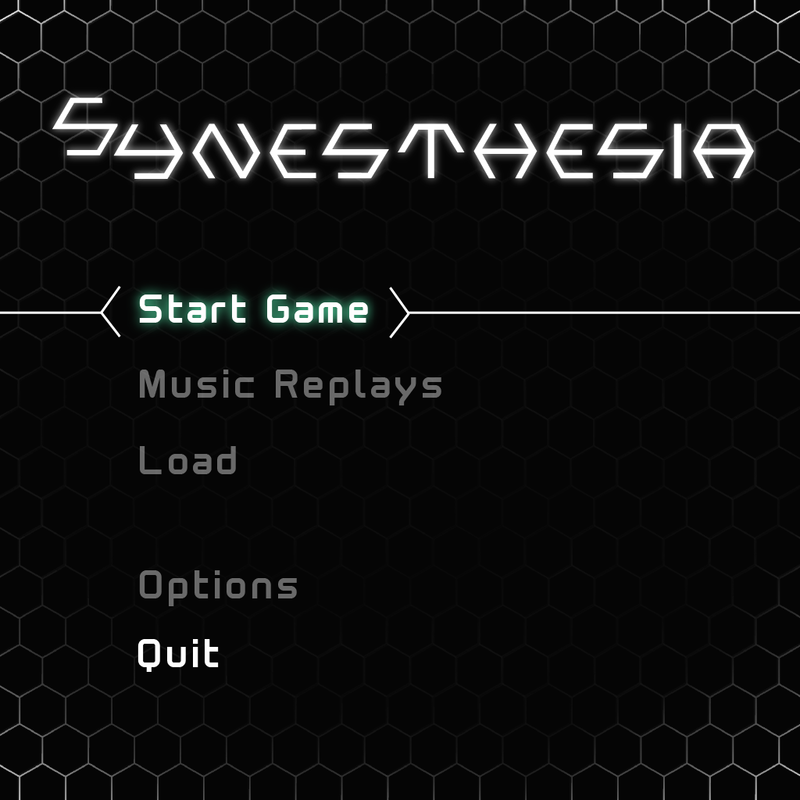 I used a hexagon mesh that has been faded out towards the middle to accommodate the pause menu and to fade out the gameplay from focus.